Printed Matter's L.A. Art Book Fair, 2016. Photo by Casey Winkleman. BYO Tote Bag! Visit MOCA Store at Printed Matter’s L.A. Art Book Fair for heavily discounted catalogues, monographs, and rare finds to add to your collection. Several titles will be on sale for $1, $5, and $10. 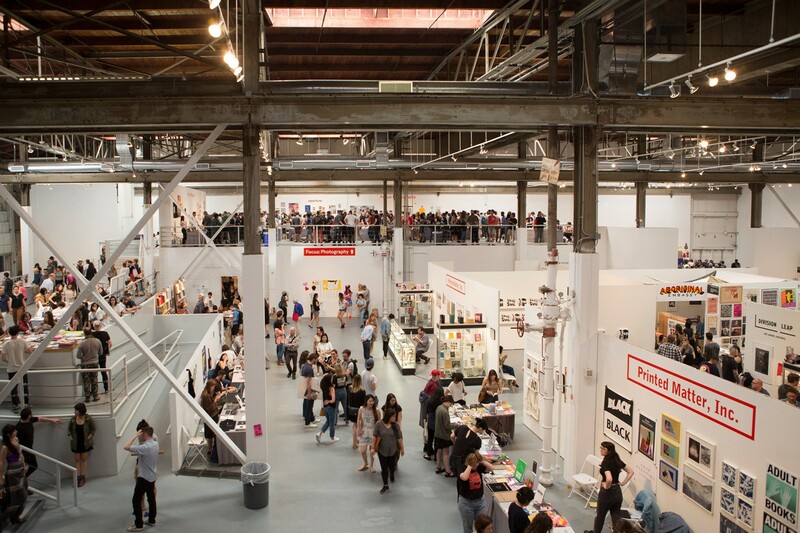 Entry to L.A. Art Book Fair is FREE. MOCA members get special access at LAABF—including complimentary admission to Thursday's Opening Night, discounts at MOCA Store, and a chance to win a limited edition Catherine Opie photograph or MOCA exhibition catalogues if you visit MOCA's booth (#G8). Become a MOCA member and join in on the fun! If you join at the Curators Circle level or above, you will receive a special limited edition photograph by Catherine Opie (limited to the first 100 people).